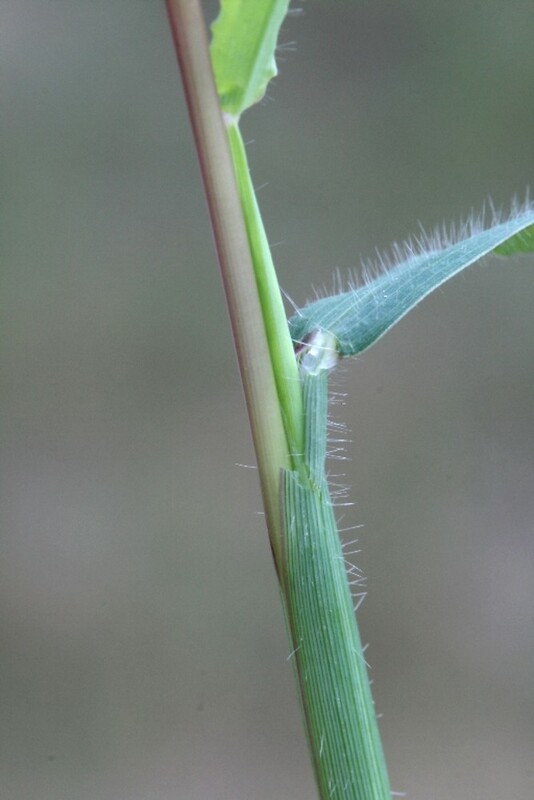 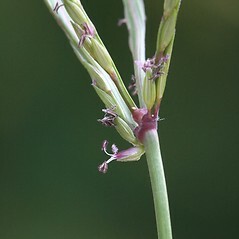 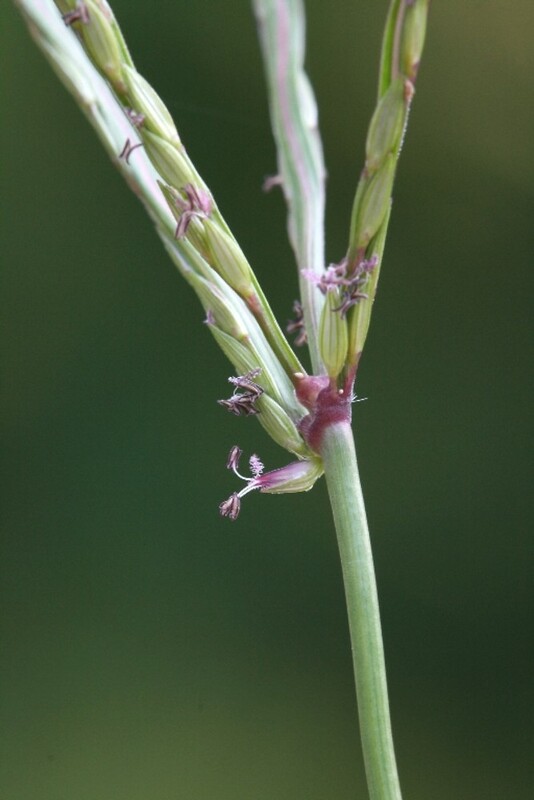 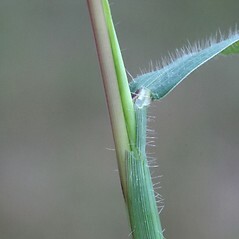 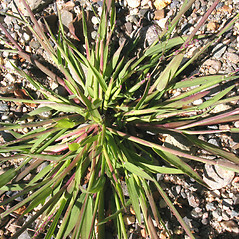 Smooth crabgrass is native to Eurasia and introduced in North America. 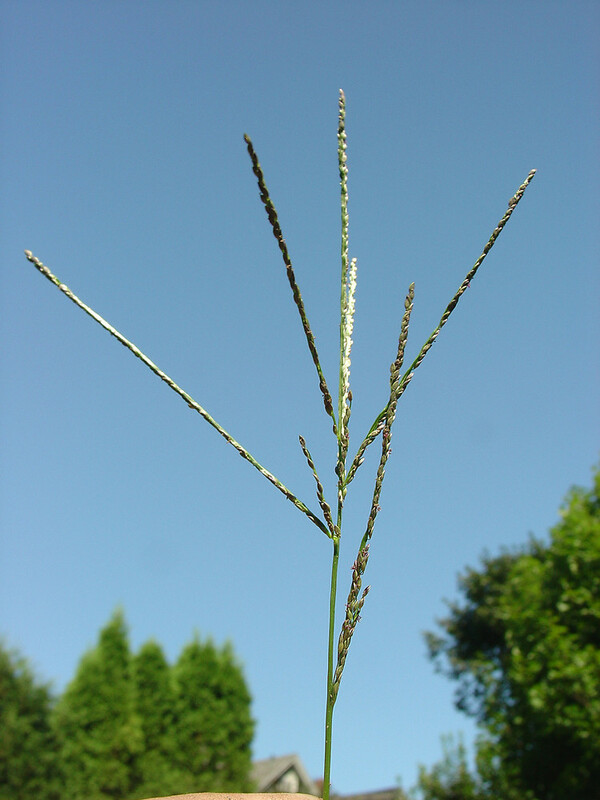 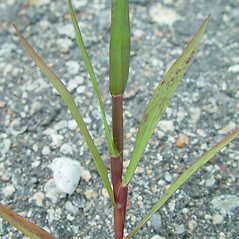 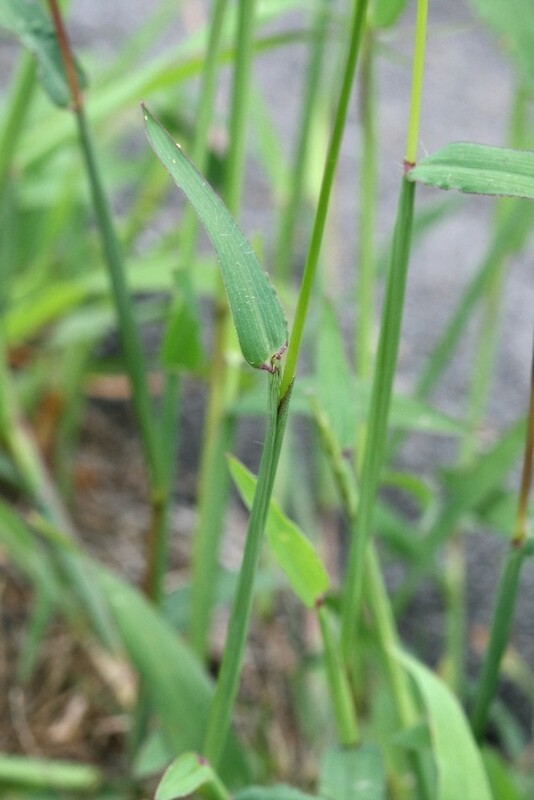 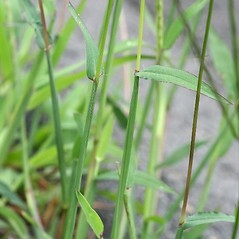 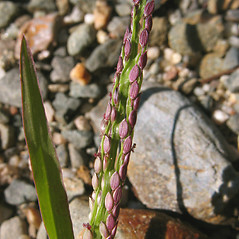 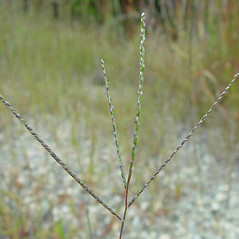 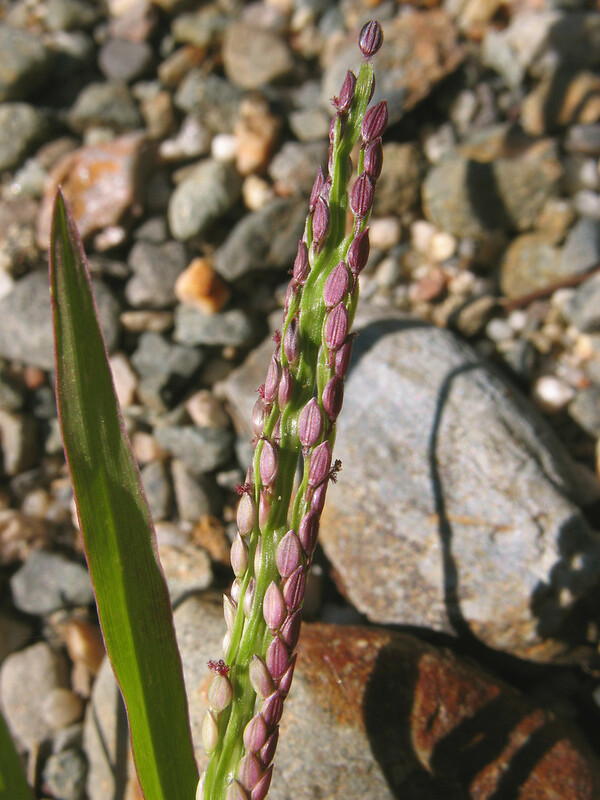 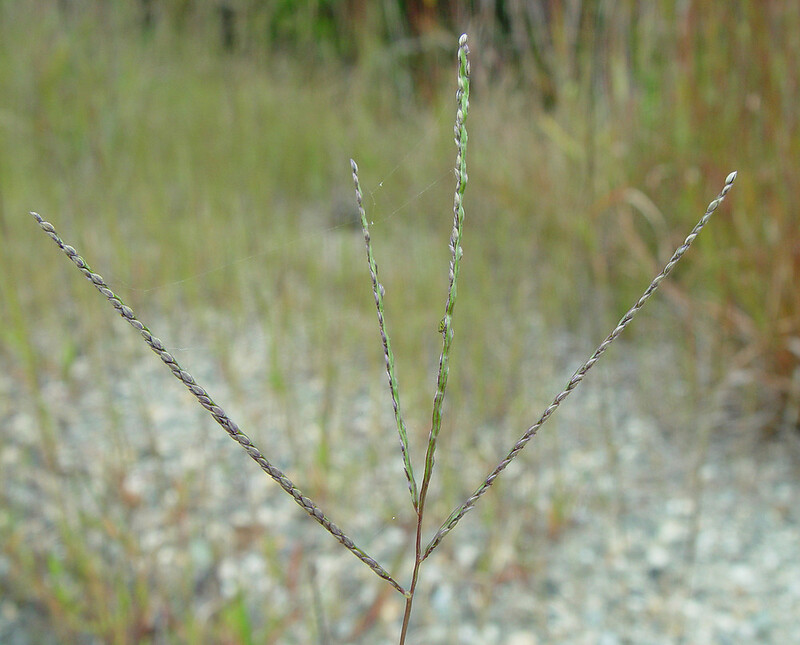 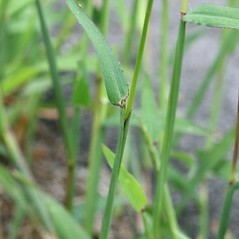 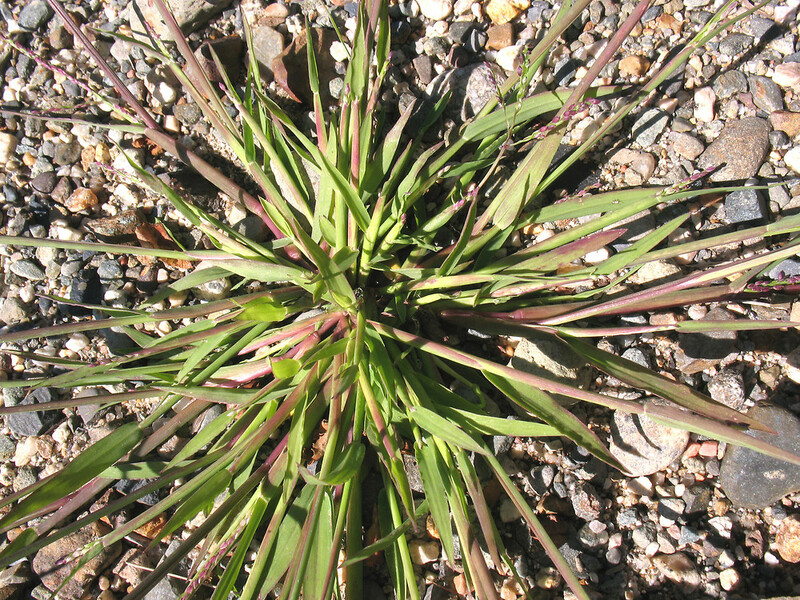 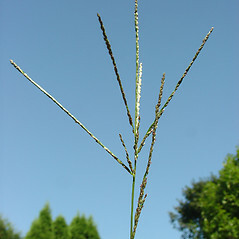 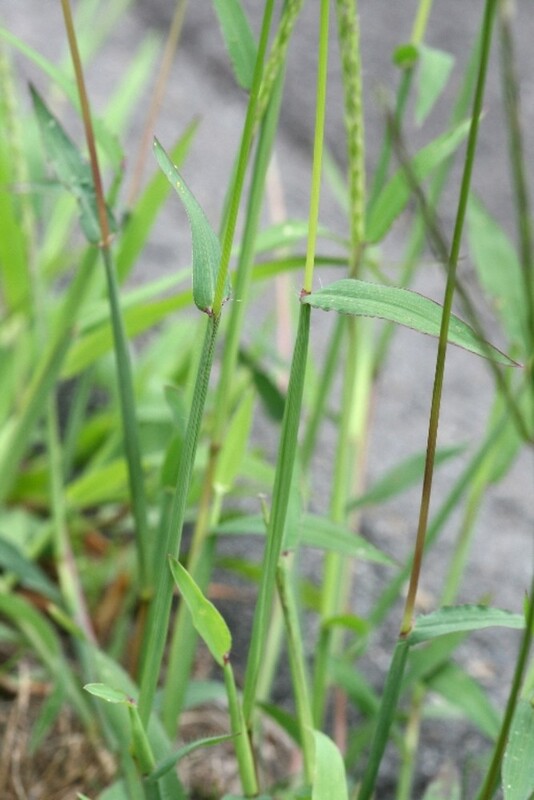 It is a common weed of lawns but slighly less aggressive than hairy crabgrass (Digitaria sanguinalis). 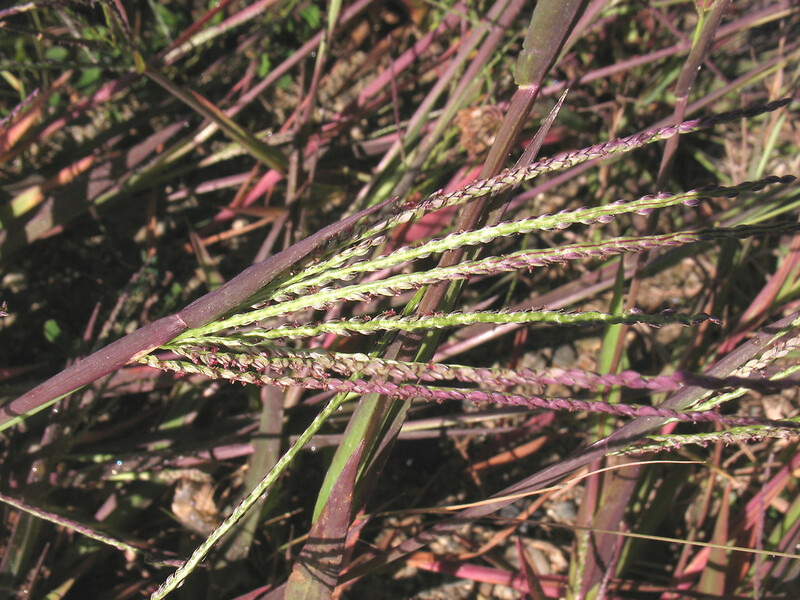 axis of panicle branches triquetrous, but not wing-margined, and reproductive stems usually upright, only rarely rooting at the lower nodes (vs. D. ischaemum, with the axis of panicle branches wing-margined and reproductive stems usually decumbent and rooting from the lower nodes). 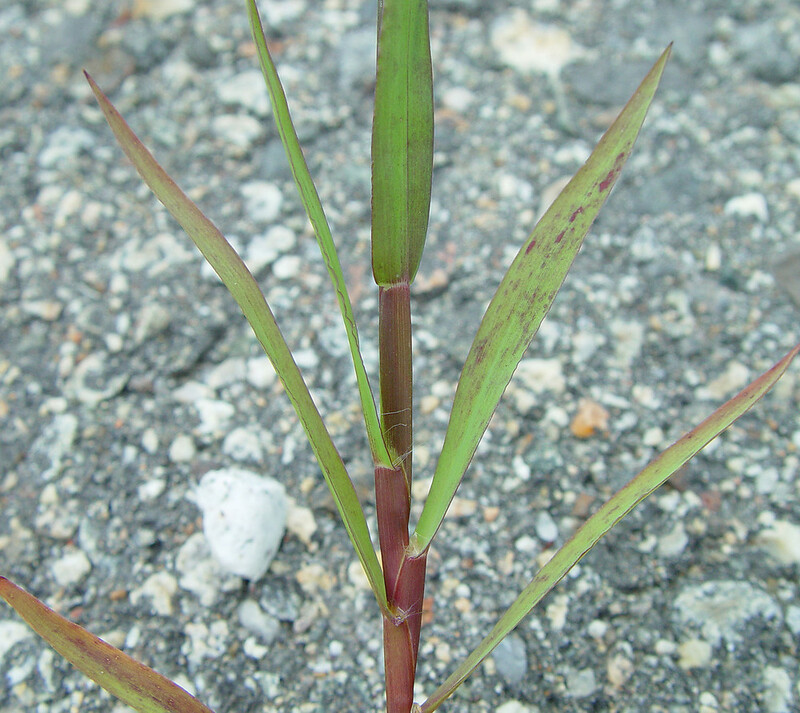 lower glume present and 0.2-0.4 mm long and upper lemma yellow to gray or brown (vs. D. ischaemum, with the lower glume absent or a tiny, membranous rim and upper lemma dark purple-brown). 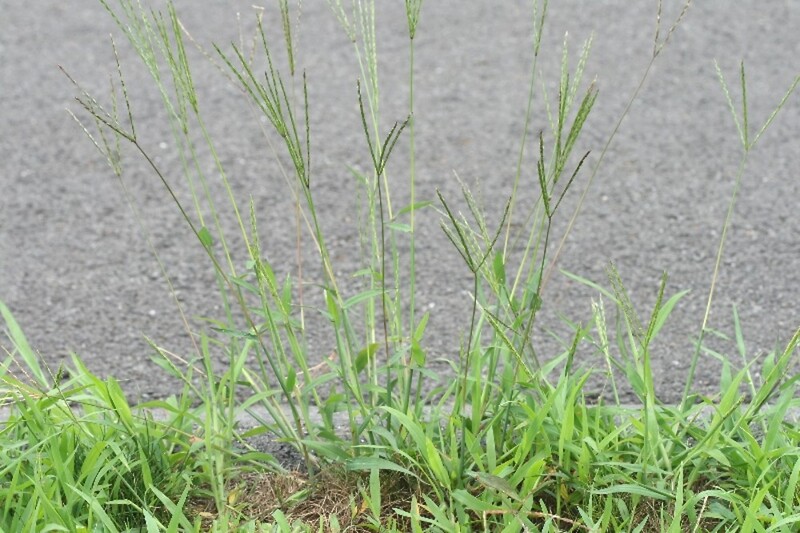 smooth crabgrass. 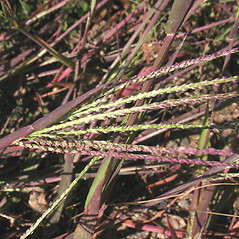 Panicum ischaemum Schreb. 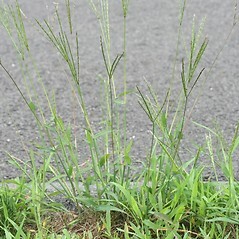 • CT, MA, ME, NH, RI, VT. Roadsides, yards, railroads, lawns, sandy, disturbed soil.